Thousands of Stop & Shop employees are on the picket lines Friday. 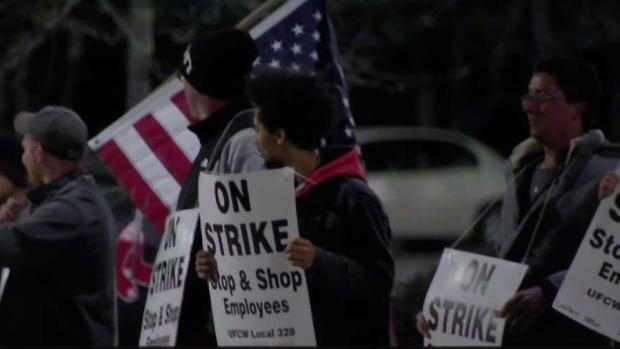 Thousands of Stop & Shop employees are on strike to protest stalled negotiations between the grocery store and the union, but what does that mean for you? With employees in Massachusetts, Connecticut and Rhode Island picketing, a few stores were temporarily closed on Thursday. Even the 24-hour Quincy, Massachusetts location was closed for several hours in wake of the strike. Customers may have to face a choice when they show up at Stop & Shop stores. They may have to cross the picket line, as was the case in Somerville, Massachusetts. However, it is unclear which locations are participating in the strike. 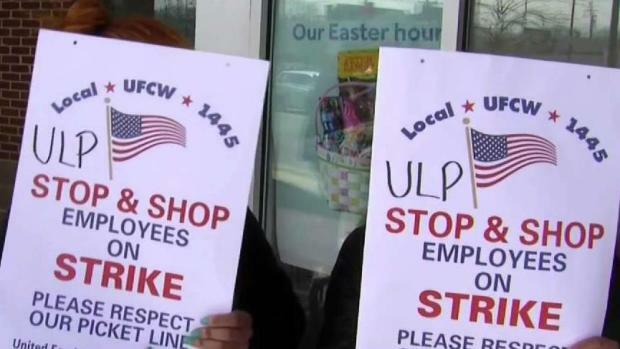 There are 415 stores across the Northeast, but the strike only affects 240 locations in the three states. The Boston Globe reports some locations will be getting temporary employees during the strike. Desk employees may be called in to replace stockers and cashiers, the Globe reports. Even if the grocery store is closed, banks and pharmacies in each Stop & Shop location will reportedly still be open at regular hours. Those who order their groceries online via Peapod may experience some delays, according to the Globe. Contracts between the grocery store chain and the store employees, who are represented by five United Food & Commercial Workers unions, ended on Feb. 23. However, negotiations have been stalled for some time. In late February, UFCW authorized the use of a strike. The union and grocery store have disputed over health insurance, pensions and vacation time. Stop & Shop expressed disappointment in the strike. The strike has caught the eyes of two 2020 Democratic presidential contenders. Massachusetts Sen. Elizabeth Warren said she will join Somerville workers at the picket line on Friday. Meanwhile, New Jersey Sen. Cory Booker issued a statement saying he is standing in solidarity with the workers.